How to measure for a president: Why presidents’ power to persuade the public through speeches has always been exaggerated. Mitt Romney doesn’t give a great speech. No matter. A president’s ability to persuade has always been overrated. Photo by Mike Sargent/AFP/Getty Images. We’re all conditioned to think presidents have a powerful ability to persuade the country. That’s why the press and public pour over every word of their speeches, press conferences, and Oval Office interviews. The president and his staff think speeches can change minds, too. If people are mistakenly thinking X, it’s just because the president hasn’t had a chance to explain Y. Once he does, polls are taken. If the people still don’t agree with the president, we see it as a sign that he is somehow flawed. In campaigns, you can draw a relatively straight line between the speeches and the outcome. To win an election, a candidate just has to convince voters he’s better than the alternative by a day in early November. But to win a complicated policy debate a president has to convince enough legislators and a distracted American public that the situation is urgent or at least matters a whole lot. For a president’s opponents, delay is always an option and it’s hard to focus the mind if people aren’t already on board. In that atmosphere, a presidential candidate’s ability to read public opinion is a better guide to their ability to persuade the public than their gift for delivering soaring rhetoric. Admittedly, this view of oratory is not going to get your movie script green-lighted. Harrison Ford doesn’t want to be attached to a movie about a president with a knack for shaping existing public desires. The action-figure president we like to imagine rallies the nation with his words and dispatches foes with tart rejoinders. The Framers weren’t interested in the Hollywood version, though. As Jeffrey Tulis, the author of The Rhetorical Presidency points out, they wanted a man who cooled public passions, not a president who got them all stirred up. Though we prize extemporaneous presidential speech today—and snicker at Barack Obama’s dependency on the Tele-prompter—there was a time when the presidency did not have a chat-show element. President Harry Truman was criticized when he went off script. “When the president speaks, something more than an off-the-cuff opinion or remark is expected,” wrote the Washington Post editorial page in May 1948, chastising him for delivering anything other than a “set speech which has been prepared and combed over carefully by presidential advisers.” Presidential policy was too important to make up on the fly. 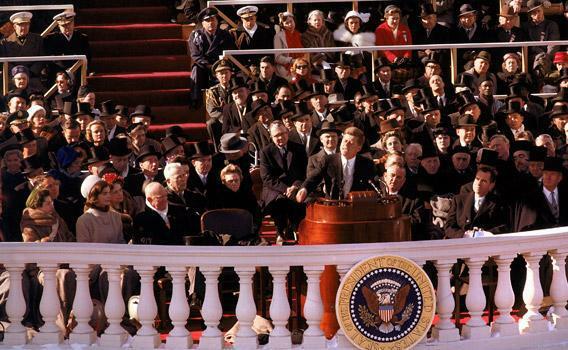 Speeches were the public culmination of an entire presidency—the tip of the iceberg. They weren’t the thing itself. Technology has put a premium on communication, ushering in the rhetorical presidency. But the focus on presidential talk has also come from a change in how we see the office. As governing has become more like a permanent campaign, we’ve grown to thinking that an effective president is one who speaks in campaign mode—all the time. And if he could persuade people to join his side as a candidate, why wouldn’t he be able to do it as president? As Ezra Klein wrote in The New Yorker, Texas A&M University’s George Edwards and a number of other political scientists have systematically dismantled the idea that presidents can cause significant shifts in public opinion. The starkest examples come from the presidents known for being our greatest communicators. In 1937, at the height of his power, Franklin Roosevelt tried to expand the number of justices on the Supreme Court to receive more favorable rulings for his New Deal legislation. He went directly to the public, making the Judicial Procedure Reform Bill the subject of one of his famous fireside chats. Most of the other chats had not been used so pointedly—to make a pitch for a specific program—but this was a special issue for FDR. The public didn’t bite. They saw it as a power grab and the measure failed. 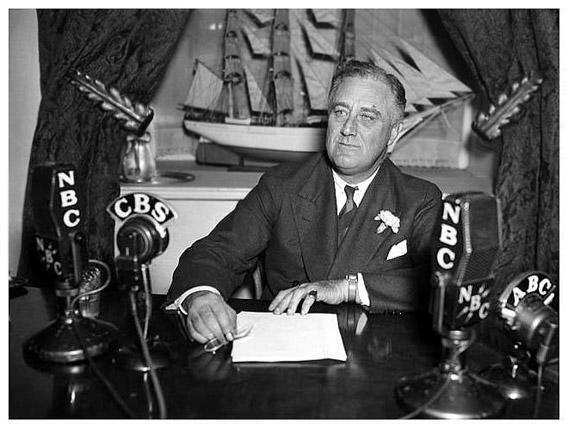 One of our great rhetorical presidents, Roosevelt could not convince the country to join World War II before the bombing of Pearl Harbor. John F. Kennedy’s words are repeated as much as any other president, but his eloquence didn’t help him in the Oval Office. He was constantly frustrated with his inability to gather support to pass education and health care bills. When he made a televised address in Madison Square Garden for Medicare reform, he tried to rally the country to his cause. “In this free society of ours the consent and support of the citizens of this country is essential if this or any other piece is going to be passed,” he said to an estimated television audience of 20 million. The next night a family physician, Dr. Edward Annis, gave a televised rebuttal. More than 30 million people tuned in, according to one report, suggesting that Kennedy was perhaps less popular in this fight than the family doctor. The president did not sway his audience and the measure was defeated in Congress. Ronald Reagan was unsuccessful in convincing the public to support increased defense spending. He made repeated appeals to give support to the Nicaraguan Contras against the threat of Communism, but to no avail. His pollster Richard Wirthlin wrote the president a memo suggesting he stop pushing the policy because it was likely to lower his approval rating and only harden people against helping the Contras. The relationship between presidents and the partisan feelings they provoke by pushing a policy has only grown more acute since Reagan’s years. In our increasingly hyper-partisan era, presidential communication can actually diminish the chances that both parties can find common ground. Sometimes the best thing to know about the bully pulpit is when not to use it. Each of these presidents—with the exception of Kennedy—also had a string of successful presidential campaigns. Still, they all—even Reagan—lamented at the end of their administrations that they wished they had been able to communicate better with the American people. Photo by Frank Scherschel//Time Life Pictures/Getty Images. In an interview with Charlie Rose two years later, the president said the same thing. Asked to name a mistake he’d made, Obama said it was not telling good enough stories to the American people. But good yarns are not enough. In the more than two years since the president started saying he needed to tell better stories, he’s been trying, but on issues from health care to the economy, people aren’t any more persuaded. The more likely reason for the president’s low approval ratings is not that his words weren’t conjured properly or arranged in the right order, but that unemployment was high and the country’s economic plight wasn’t getting better fast enough. If the mechanic hasn’t fixed your car, you may understand the story he tells you and you may even be sympathetic to it, but you still want your car fixed. Even when a president can take advantage of existing sentiment to move legislation, the economy can limit the power of his words. The country overwhelmingly supports the ending of the Bush era tax cuts for the wealthy. You might think this would give President Obama the upper hand when Republicans took the position that they would support an extension of all tax cuts or none at all. But the president and his advisers calculated that if no deal was reached and taxes went up that would create greater economic pain that would—ultimately—be blamed on the White House. He couldn’t talk his way out of that with a good story. Presidents can’t fight against an underlying feeling about the economy. But that doesn’t mean they can’t try. They have to appear to be doing something about the No. 1 issue of the day. Giving a speech is the most effective way to look like you’re taking charge when your other options are limited. Plus, while political scientists make a good case that presidential speechifying might not always swing voters in a positive direction, it’s still possible that speeches keep public opinion from falling into the well. There may also be a political benefit to the endless speeches. Take the current president, who has been criticized for giving too many speeches. Today, the American public thinks the economy is lousy. They don’t trust that the country is headed in the right direction. And, generally speaking, they think the president’s stewardship of the economy is lackluster at best. So why aren’t Obama’s approval ratings lower? What keeps him afloat, Democratic strategists wonder? It may be that President Obama’s speeches over the years have contributed to the relatively warm feeling people have about him. As even Mitt Romney admits, people like the guy. Of course, there are speeches that move people, and in so doing accrue important political points for a president and his administration. Oftentimes they come from moments of national tragedy or sadness. Bill Clinton’s speech after the Oklahoma City bombing broke what had been a series of bad months for him, aligning him once again with the nation. George W. Bush’s words on the rubble pile at Ground Zero rallied the nation to his leadership in a way that his initial response to the attack had not. Obama’s well-received speech in response to the shootings in Tucson, Ariz. that wounded Rep. Gabby Giffords interrupted what had been a dreary period for his administration after the 2010 losses in the House. It’s hard to imagine Mitt Romney, who is a workmanlike speaker, seizing one of these moments for his advantage. But the quality of his oratory probably wouldn’t hurt him too much. These are situations where the public is straining to embrace a leader; the president just needs to be there to accept the embrace. How do you know what the public thinks? The reason presidents can seize on public moments of tragedy is that presidential communication is most effective when it taps into the public’s mood. “When broader forces align—public opinion, the right number of legislators—presidential action is a useful addition of momentum to that change,” says Sides, the political scientist. “It’s not going to create that change by itself, but it can direct it.” In this case, then, the most powerful thing a president does when he communicates is topic selection. The public wants many things. Much of what it wants it shouldn’t have. 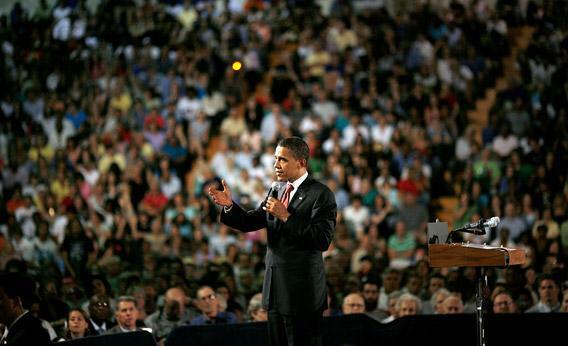 Presidential speechmaking sets the agenda and draws the crowd to a topic, which a savvy president knows they are at least somewhat predisposed to supporting. Reagan was a masterful communicator, in part because he didn’t try to force the country to go in a direction it didn’t want to go. He managed tax cuts and reductions in government spending that met the desires of a conservative wave in the country. 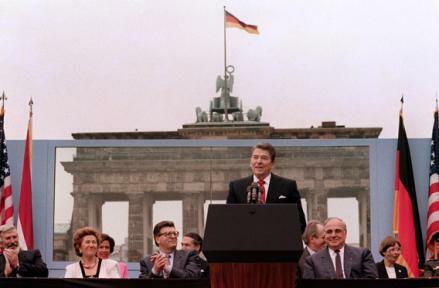 Reagan’s talent was to give voice (and easily repeatable aphorisms) to the country’s mood. (They are still being repeated at GOP rallies today, where I’m with the government and I’m here to help you is a ready laugh line.) The economic success of Reagan’s term ratified the ideas behind it—smaller government and the belief that tax cuts lead to economic growth—but his ability to communicate branded those ideas to the times more than simple prosperity could. Bill Clinton, whose skills connecting with the American people are legendary, nevertheless faced a series of stinging defeats early on. But he learned his lesson after the Republicans took over Congress in 1994. He immediately started supporting a number of small provisions—from encouraging school uniforms to V-chips that would block offensive programming on television—that had wide popular appeal. The triangulation he practiced in which he supported positions in the middle against the extremes of both parties gave him a series of victories that matched the public mood. By offering the public what they wanted, Clinton realigned his presidency with the majority. It wasn’t Clinton’s words that won people over. It was the policies, stupid. If a president can’t sell a program, is it his fault? Barack Obama had an opportunity to shape public opinion on health care reform. When he started his push, the idea of reform was broadly popular. In April 2009, 59 percent of respondents in a Kaiser health care poll believed health care reform was more important than ever—even amid an economic downturn. Only 37 percent said we couldn’t afford health reform because of economic problems. But the more Obama worked on the legislation, the more partisan the issue became. Soon the numbers began to turn against him. It became a game of beat the clock: Could he get the bill through Congress before opposition to it calcified? But Obama didn’t sprint. He thought he could keep the public on board while everyone waited for the Senate Finance Committee and its chairman Max Baccus to deliver a bipartisan agreement. During that time, the president allowed the health care bill to take a pounding each day, lowering its popularity. In February 2009, the president’s approval rating on the question of health care was a rosy 57 percent favorable to 41 percent unfavorable. By the time he signed the law in March 2010, those numbers had flipped. Even under a president with rhetorical gifts, the partisan and confusing nature of public-policy debates can overwhelm the oratory. In the end, Obama had to jam the bill through. As health care reform came to a vote, Obama was no longer trying to win over Republicans or protect his brand. He supported the Senate use of reconciliation, a back-door procedural move that destroyed any chance of bringing along Republicans, and he turned his megaphone toward rallying his own troops. That’s a place where presidential rhetoric can be powerful. Obama’s speech to House Democrats on the eve of the vote appealed to the common bonds that brought them into politics as Democrats. Since then, public support for the legislation has not improved. Describe a situation when you convinced an adversary of something. If Obama wasn’t naive about the political reality, he may have had too much faith in the play he kept running: Look reasonable so people will see that Republicans are overstepping. It didn’t really work. It didn’t cow Republicans. Their approval ratings sank, but their positions didn’t change, and Obama’s status with voters didn’t improve as he’d hoped it would by using the GOP as a foil. This was a theory largely untested by reality. Obama had worked with Republicans in Illinois, but that was a much smaller playground and he’d only done it for eight years. In the United States Senate, there was virtually no evidence of his persuasive powers on any meaningful issue. In the early days of his presidency, Obama couldn’t even get his own economic advisers to agree, let alone Republicans. Mitt Romney propagates a similar notion. It’s the myth of smart people in a room and the ability to wrangle a way forward from knowing how to conduct them. But what if the smart people in the room don’t want to agree with you? If they’re members of Congress, you can’t fire them. You can’t engage them in collective action for the good of the share price. They are trading on an entirely different market. How do you know what the public wants? If the political scientists are right, we should stop hanging on every president’s every word. That’s good news for Mitt Romney. He is not a memorable orator, but it turns out that he doesn’t need to be on many issues. He wants to repeal the Affordable Care Act. The average of polls shows 50 percent of the country wants the law repealed and only 40 percent does not. That’s more important than all the wordsmiths in the land. President Obama’s rhetorical skills have already been downgraded in office. You could see it at his convention where he delivered a more earthbound speech. It seems like he knows that people may be a little skeptical this time around. When President Obama inevitably reinvigorates his base with rousing words during the campaign, no one should assume he will be any more effective in a second term as president. If we want to measure a candidate’s potential in office, perhaps the more important thing to measure is their ability to read the public. It’s only with an understanding of what the public wants that they can shape public views. Candidates speak as if they can intuit the deepest wishes of the public, but where does this understanding come from? They attend rallies made up only of their supporters and they never admit to reading public-opinion polls. Democrats say they don’t watch Fox news and Republicans don’t wake up to the New York Times. If voters aren’t with a president on a specific issue, all is not lost. Their general disposition toward their leader—whether they think he has their interests at heart—still offers something. If they do trust that he has their back, people might be more predisposed to hear him when, as president, he tries to argue that he has plans or ideas that may first strike them as unappealing. This is an area where Mitt Romney has lots of work to do. When pollsters ask voters which candidate they think cares more about average people, Obama beats Romney regularly by 20 percentage points or more. That’s a tough position to start from when you are promising to transform the Medicare program, a proposal that does not have majority support. Romney’s plan to extend the Bush era tax cuts for the wealthy also doesn’t have broad support. Do the rules of presidential rhetoric suggest that there’s no way that Romney can accomplish what he’s proposing? Is he willing to go forward even though his Medicare reforms are likely to be unpopular, the way Barack Obama did with health care? Romney and Paul Ryan have suggested that they will receive a political benefit for taking on these hard tasks. But that’s just campaign talk. There is no evidence from the real world that this is true. These were the questions Newt Gingrich was noodling when he raised doubts about Paul Ryan’s plan to transform Medicare. The country wasn’t ready for “right-wing social engineering” any more than it was ready for left-wing social engineering, Gingrich argued, because to make big changes you can’t change public opinion, you need to shape it. So what was the plan for getting the country in the right frame of mind to accept it? The limits of Barack Obama’s communication skills have already been exposed. He is not going to be a more effective story-teller in his second term, but then again, his ambitions are less lofty than Mitt Romney’s. Obama’s agenda—to manage future budgets to reduce growing inequality through protection of investments and rearrangement of the tax code—is essentially in line with public opinion. Polls show that the public trusts him to handle issues of Medicare, taxes, and health care (despite disapproval of the Affordable Care Act). Without another election to worry about, Obama might feel emboldened to negotiate on behalf of those popular positions in the budget fight that will start the day after Election Day as he tries to avoid the fiscal cliff created by last year’s budget deal and the expiration of the Bush-era tax cuts. Whoever the next president is, when his term begins, he’s going to have a lot of explaining to do.